His Twitter profile says nothing ordinary, which is probably the best way to describe our next speaker. Craig Gauthier, a self-professed creative geek, wears many hats as an entrepreneur, investor, filmmaker, author and speaker. Before his sixth birthday, Craig was diagnosed with having severe asthma after a handful of terrifying near-death experiences. I was allergic to everything. There were many sleepless nights just trying to breathe. Craig credits his childhood health problems with his diversity and internal drive. You don’t really know what you’re capable of until you face adversity. Overcoming adversity builds confidence. Confidence helps you believe in yourself. When you believe in yourself – you never give up. Craig’s journey has been anything but linear. I was a film major in University. But, I didn’t want to be a starving artist. I had an affinity for numbers and statistics. So, the latter won out and I began trading futures and derivatives at the age of 19. This triggered a series of unconventional business ventures that included gumball machines, brokering tickets, repairing personal computers and handicapping thoroughbreds to help fund his trading business and University education. After becoming a certified Enterprise Network Architect, Craig entered the dot com era with his first tech start-up EworldIT. After a few lean, but profitable years Craig decided to exit just as the Internet bubble burst in 2000. Shortly after, Craig found his passion for leadership and teaching when he accepted a position as a professor in the School of Advanced Technology at Algonquin College. During his five-year tenure, Craig won multiple awards for teaching and program development including the Most Outstanding Teacher award nominated by his students and peers. Recognizing the positive impact of sharing knowledge and a desire to grow and expand internationally, Craig started Strategy Line – a company focused on helping businesses grow through leadership, engagement and marketing. This past decade Craig has traveled over a million miles speaking and consulting for various organizations. His client roster has included some of the biggest global brands – National Hockey League (NHL), New Balance, Coke, Lexus-Toyota, Nautica, Cisco, Texas State University, Microsoft, Google, and Disney-ABC Television Group. His philanthropic endeavours have included work with Clinton Global Initiative, Wayne Gretzky Foundation, Rogers House, Virgin Unite and the Sears Great Canadian Run. Craig’s next venture will have him embarking on a 150-day cross Canada tour producing a daily video series called Show Me Canada as part of Canada’s 150th birthday celebration in 2017. 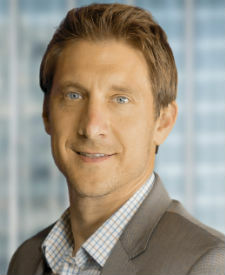 You can interact with Craig directly on twitter @gochay or keep up to date with his latest ventures at gochay.com. Craig is one of seven TEDxKanata speakers. To hear him and the rest take on our 2016 theme, Breaking Barriers, apply by February 29th to join our audience.